The finest industrial and engineering plastics, distributed across the whole of Scotland. 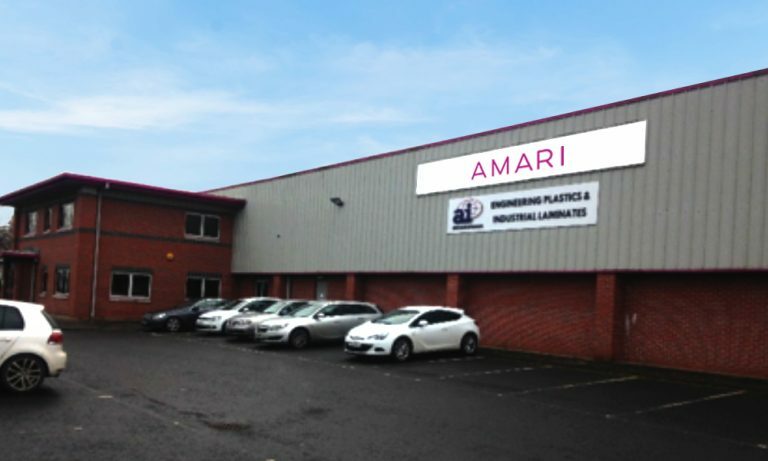 Located in Uddingston near Glasgow, Amari Plastics Scotland supplies industrial and engineering plastics, as well as related products and accessories, across the whole of Scotland. Our customers come in all types and sizes of business, but mostly include those working in the sign and display, print, oil and gas, food and beverage, industrial and property maintenance/construction sectors. They come to us for the selection our product range provides, held in stock locally for immediate delivery or collection. This range includes plastic sheets, blocks, rods, tubes and profiles, printing substrates (paper-based, foams and ACMs), vinyl, adhesives, sign boxes, LED lighting and more. But that’s not all people choose Amari Scotland for. We also offer a cut-to-size service on many products to meet your exact requirements and can also supply plastic components machined to your precise specifications. Whatever your need, we’ll stock the solution to your needs locally or it will be available within a few days from our UK-wide distribution network. Please give our team a call, or visit our trade counter, any time from 8am-5.30pm, Monday to Friday. We’ll be delighted to help.